From April 11 to May 11, new SMART Infinity subscribers can avail of the new Samsung Galaxy S5 for free starting at ASPIRE PLAN 3500. As you go higher however, SMART sweetens the deal! 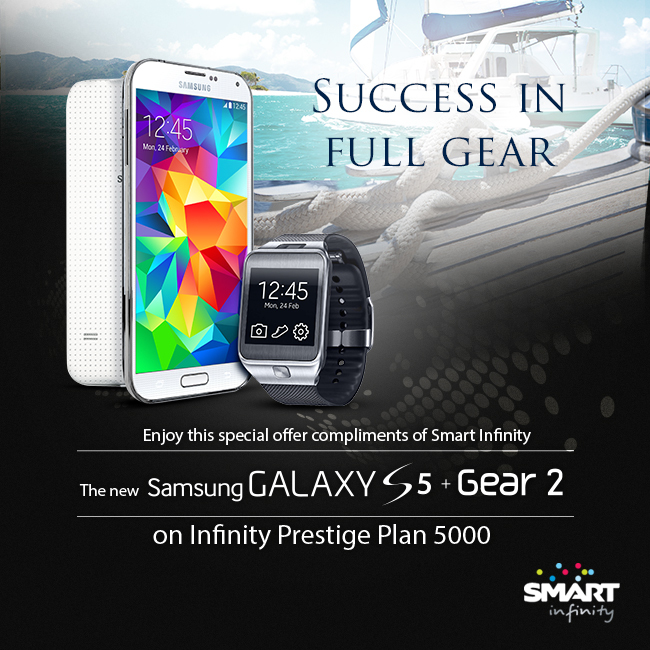 At Prestige PLAN 5000, you get the Samsung Galaxy Gear 2 together with the Galaxy S5 + 5k worth of gift certificates. Now, on PREMIUM PLAN 8000, you get the Galaxy Gear 2, Galaxy S5 with a 32″ Samsung TV OR 15k worth of gift certificates. For those wondering if the new Galaxy S5 is worth it, I would highly recommend it even if you are currently using the previous S4 model or even a Galaxy Note 3. There are two reasons: (1) the new S5 comes with a download booster mode which enables both WiFi and data when downloading or surfing. 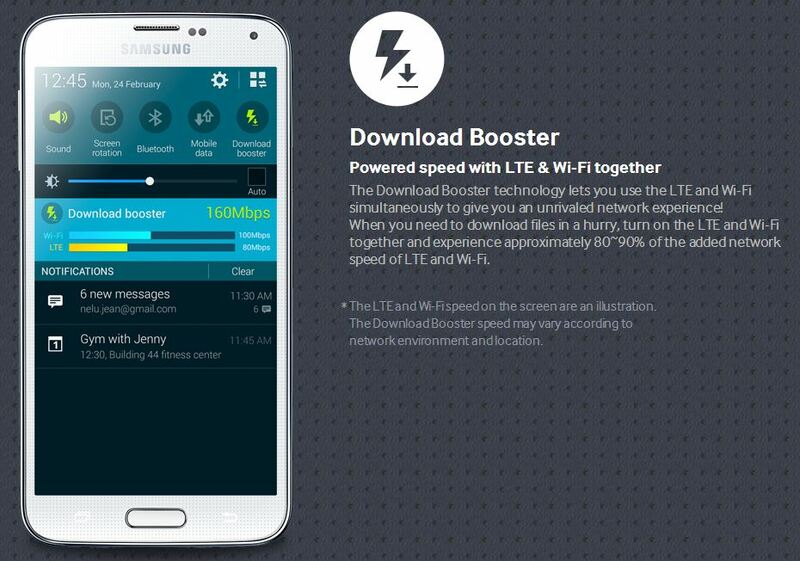 What this means is that you can use the combined speeds of LTE and your home or office WiFi to download files. What a feature! (2) If you’re low on battery, the S5 can switch to a low power mode by turning your screen black and white and disabling all features that are battery heavy. You’ll be able to text and call.